The Coeur d'Alene Summer Theatre begins its 2013 season with a production of Roger Miller's Big River, opening this Thursday. 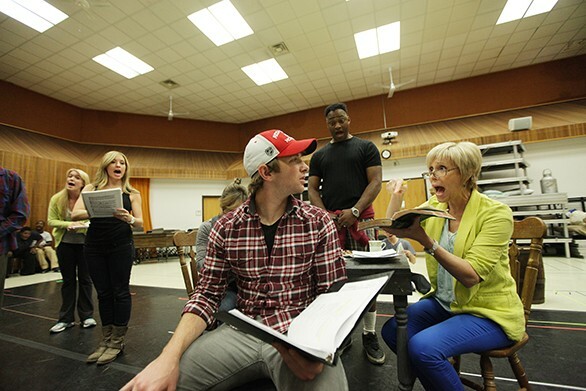 The 12-week season also includes productions of Mary Poppins, Romance Romance and 9 to 5. 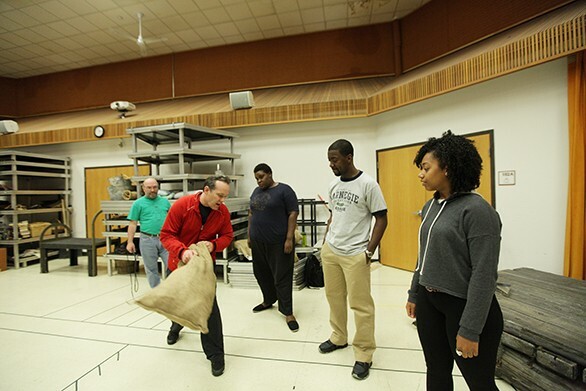 Below are photos from a rehearsal a couple of weeks ago for Mike Bookey's story about the 40-plus year history of the theater. 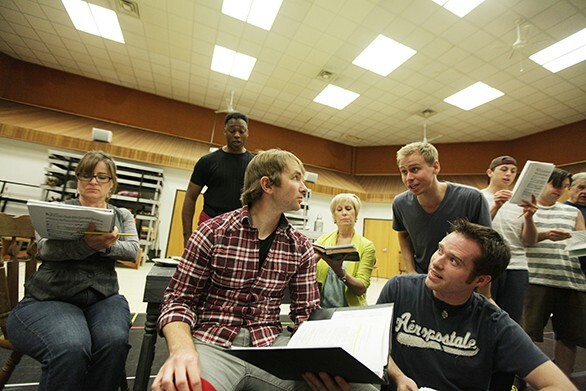 Huckleberry Finn (Max Demers), center, watches Craig Allen, right, and Nate McVicker sing. 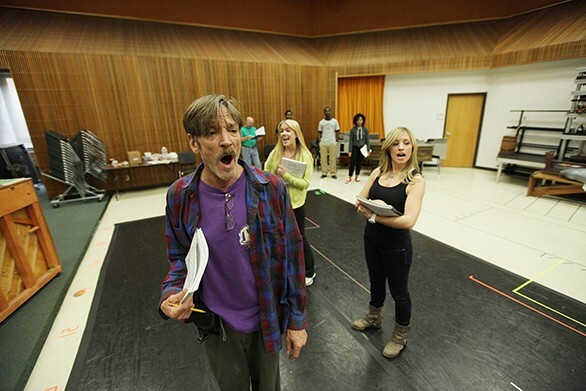 Jim (Terence Kelley), top, sings as Huckleberry Finn (Max Demers) watches. 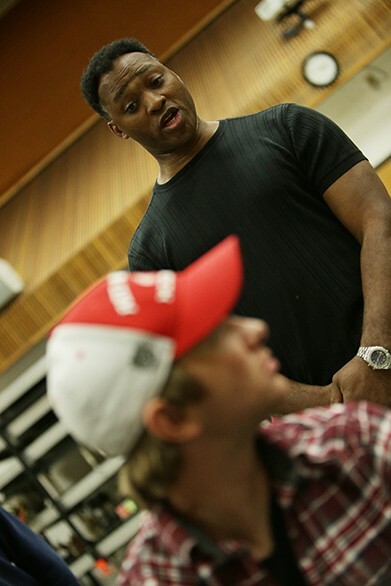 Director/Choreographer Kirk Mouser, right, reviews lines. The Duke (Patrick Treadway) sings. 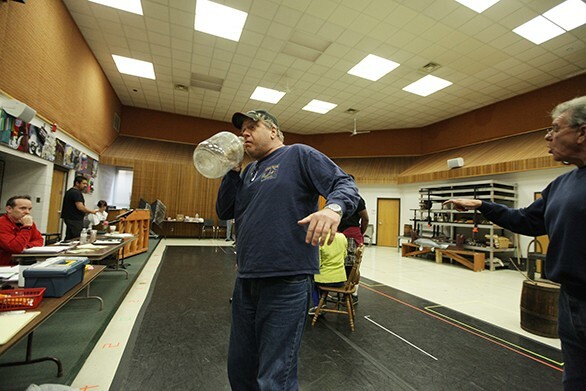 Pap Finn (Michael Weaver) drinks and is about to stumble. Huckleberry Finn (Max Demers), left, and Miss Watson (Tamara Schupman) sing. 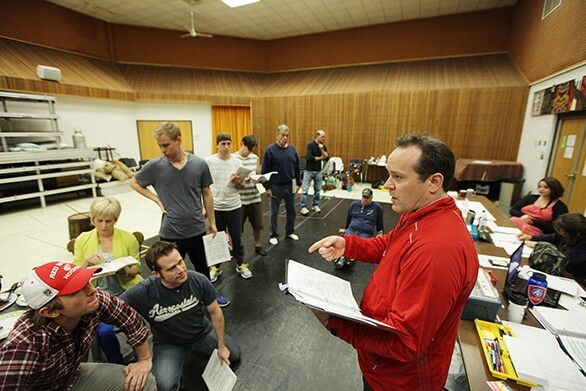 Director/Choreographer Kirk Mouser, second from the left, reviews lines with (left to right) The King (Jerry Scarrio), (Alice) Diedra Grace, Monte Howell and (Alice's Daughter) Joell Weill. 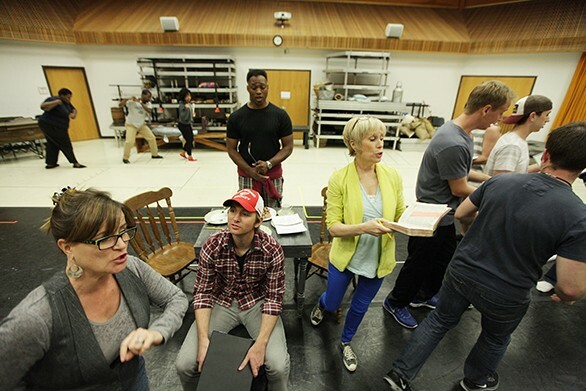 Widow Douglas (Callie McKinney Cabe), left, walks by Huckleberry Finn (Max Demers), center. Director/Choreographer Kirk Mouser, left, reviews lines with Joanna Wilkes (Carly Hebert), center, and Mary Jane Wilkes (Darcy Wright).